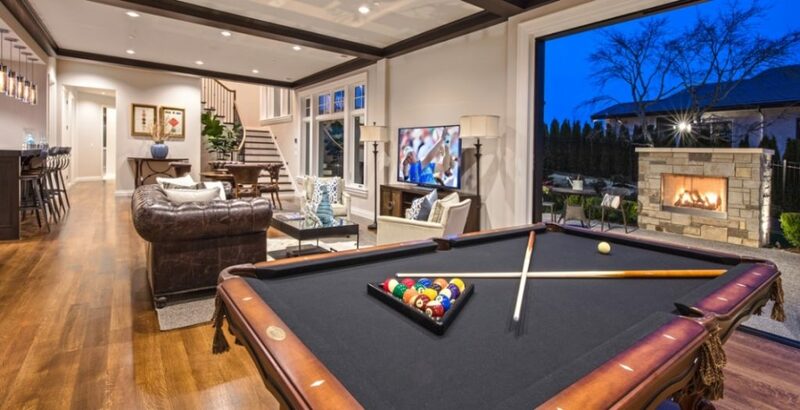 The family room serves multiple purposes. 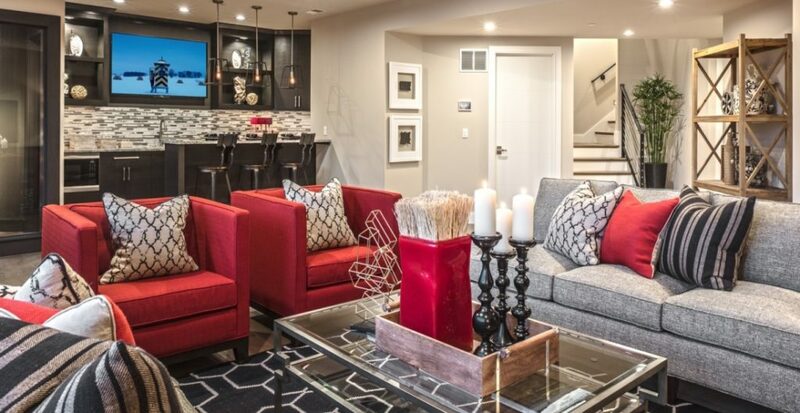 From movie nights to relaxing after a long day at work, the family room should be both comfortable and functional. At Steven D. Smith Homes, our custom family rooms are second to none when creating a space for family bonding and individual comfort. We choose to go above and beyond in design, while keeping state-of-the-art entertainment options in mind. Read our blog for 5 Special Features for the perfect family room. The family room is the perfect setting to spend quality time with family and guests. Focus on the furniture layout. Guests should not feel the need to shout or raise their voice (especially indoors) to engage in conversation. Therefore, avoid placing furniture in random sections of the room or unreasonably distanced from one another. Arm chairs, sofas, and/or couches should be arranged in close proximity, but with enough space to allow an easy flow of conversation. Create an inviting atmosphere by featuring family-friendly entertainment for all ages. We elected to implement a screen TV and a billiards table to provide options to relax or actively spend time with loved ones. Best of all, our Clyde Hill family room features a convergence space that combines both the indoors and outdoors with retractable walls. Extend family time outside with an outdoor fireplace to remain warm throughout fall and winter. When the kids are ready to get tucked in bed, the adults can have their fun too! 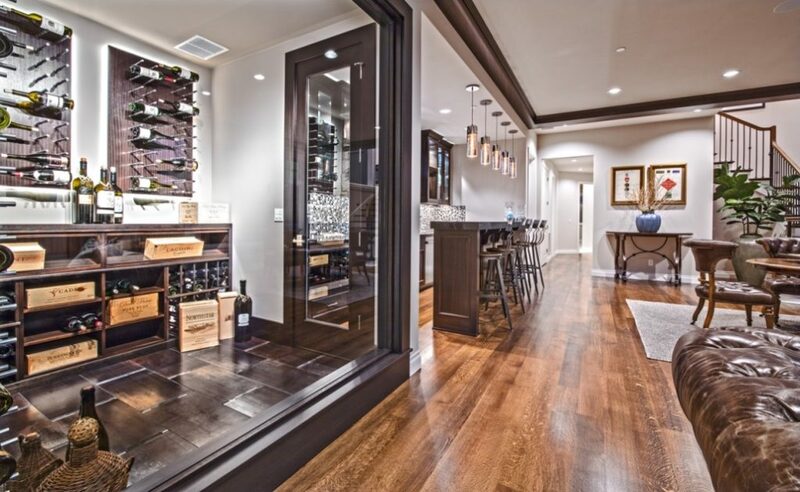 Unwind at our custom home bar paired with a beautiful glass temperature-controlled wine cellar. Make sure to include plenty of seating, especially during the holiday season. To top it off, we can implement a screen so that you can watch your favorite sports team or movies. Ambient lighting helps set the mood. A family room should feature different lighting solutions for each setting, such as at the bar, when reading on the sofa, watching TV, or throwing a party. 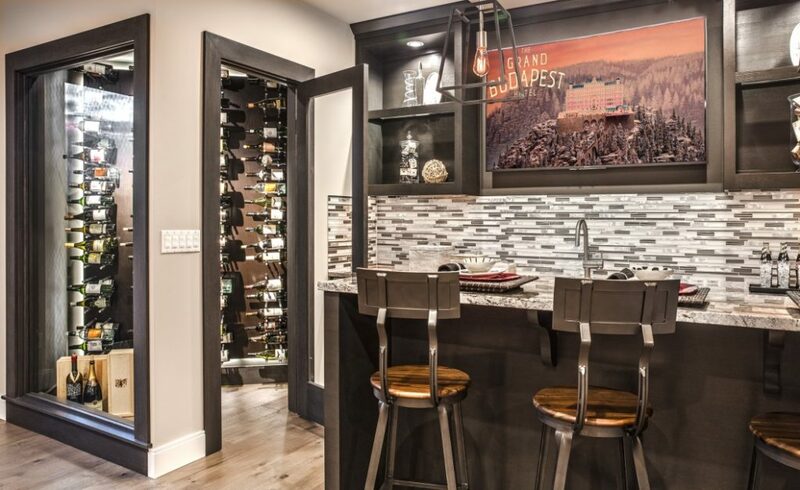 In our Kirkland Aqua Vista home, we feature contrasting lighting options above the family room ceiling, hanging lights at the bar, and lighting for the wine cellar. The family room can be entertaining, but should be practical as well. Make sure the family room has enough space for you and your loved ones, providing an adequate traffic flow. The entrance and exit should be easily accessible, especially during an emergency. One general rule to follow is to allow 18 inches between the sofa and coffee table to prevent an overcrowded space. Also, larger items should provide approximately 30-36 inches of walkway space. Steven D. Smith Custom Homes has offered incomparable design and old world craftsmanship for over 35 years. We are the trusted builder of luxury custom homes in the Pacific Northwest because we never settle for less than the absolute best. Contact us online or (425) 869-2148 to start designing your dream home today.